The week of the stomach bug…. This has been the week of the stomach bug. My best friends on Monday and Tuesday were Phenergan and the bed. Needless to say, our week was not very adventurous 🙂 I still felt wiped out on Wednesday and even cancelled science lab (which I hate to do). We muddled through with the girls doing their book work and extracurricular activities independently. 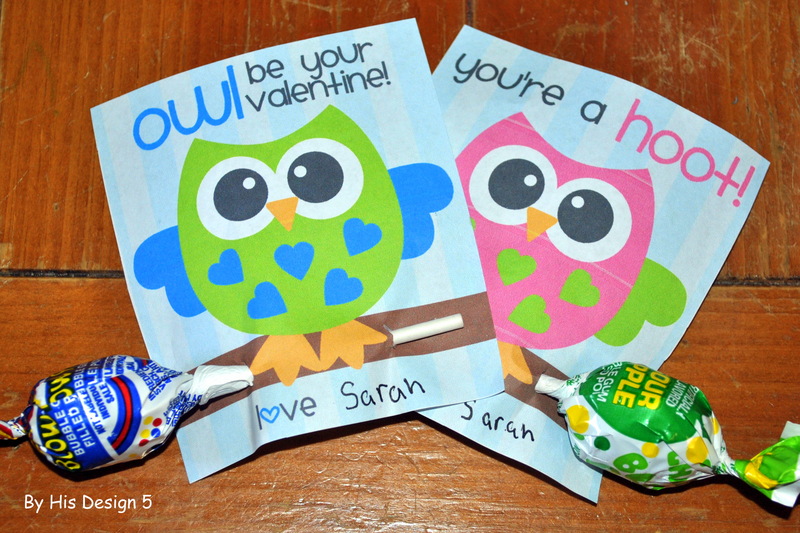 We created our first pinterest project – LiL Sis Valentine’s cards. Of course, we added our own little flair with the Blow Pops. I have enjoyed the posters going around facebook that show pictures of the way different people view things. So here is a view of what my homeschoolers do while studying. Lil Sis reading on her bed. This is her favorite study spot. She does not just do her school work. She usually reads and teaches her “babies.” Here she is working on verbs in her Easy Grammar workbook. Middle Sis likes to sit at the kitchen table. She usually spreads out and takes up the entire table. Here she is doing one of the activities from the Bold Believers in India worksheets. Big Sis – stretched out on the couch!!! Yes, she is doing school in her pajamas 🙂 Here she is doing her LifePac bible and reading the Bible verses on her Kindle. Before the stomach bug attacked, I did schedule a “Home Ec” day on Monday. And they completed the list without my directions. Here is the stack of unused cloths that were donated. My favorite resource this week is…. 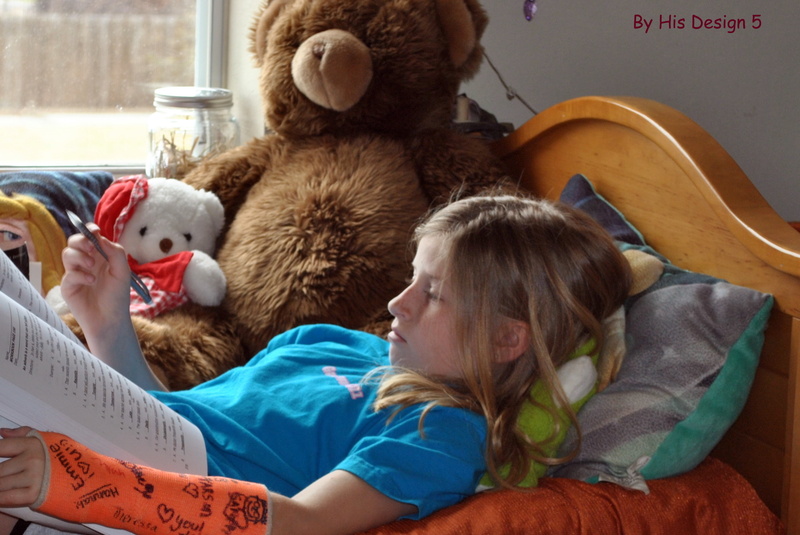 …and has been for several weeks now, the Bold Believer activity books from Kids of Courage. We have studied Bold Believers in Pakistan. Now we are working through Bold Believers in India. The girls (and me, too) are learning about the history, geography, and culture of these nations. But more importantly they are being introducted to the lives of Christians in foreign countries and the hardships/persecutions that they face. The teaching pays off. Even when you can’t stand over them and direct every move, they can still get the work done. Expect great things!!! The Mardi Gras parades are rolling!!! We have some family that is coming into town to enjoy the parades with us. Mardi Gras Madness – yes, it can be family friendly!!!! I have actually started looking a curriculum for next year. Big Sis will be in high school so I am reading lots of information about keeping up with hours, transcripts, etc. Anyone have any great advice in that area???? The Man for supervising all the school activities and for giving me time to recuperate. He is awesome!!!!! I feel that the Lord is getting prepared to move in a great and mighty way. I am praying for discernment of His will and the courage to accept His will. 6 Responses to The week of the stomach bug…. Love the owl Valentine’s. Too Cute!! Glad that you are feeling better. Thanks for sharing your week with us. Sorry that you’ve been under the weather. Never fun. Looks like a productive week in spite of it. Don’t you just love that your child can wear their pj’s and read a kindle for school? So awesome! My girls learn all around the house in different places, too. Thank you for sharing your week, and your favorite resource at “Favorite Resource This Week”. Isn’t it interesting to see where and how they all learn? My oldest likes to stay in his PJs too…and read/complete work under blankets on the couch in the livingroom. My middle likes to use the diningroom table. And my youngest would be happiest outside on the picnic table with the chickens running around him (although he can’t be outside right now).